The Great iSlaytheDragon 2014 Giveaway! This is the actual copy. Better hurry up and sign up before I decide to keep it for myself. It’s time for another giveaway people. Yes, we’re just going to give away some games. 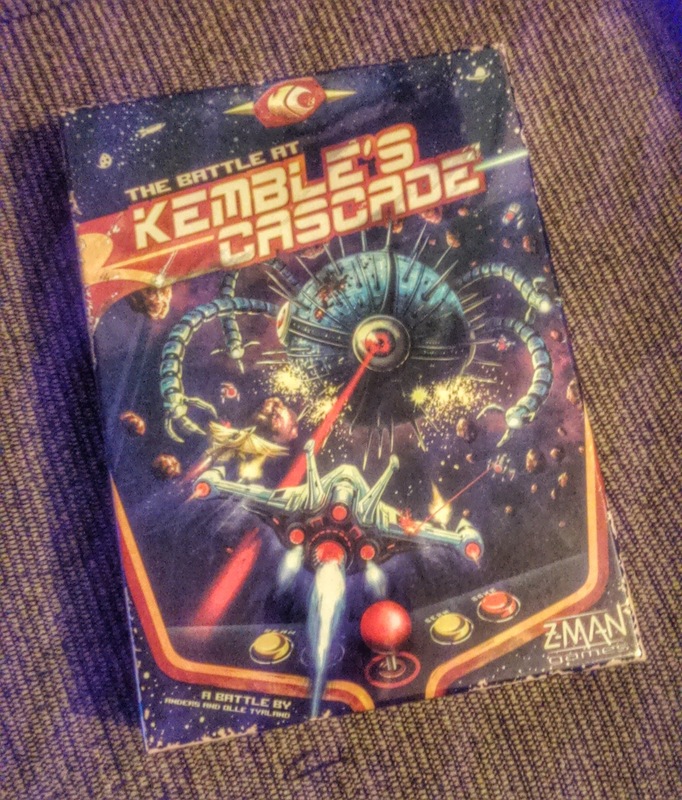 Right now there’s just one game – Battle at Kemble’s Cascade. It’s not available yet, but we grabbed a copy at Gencon so… ADVANCED COPY or whatever. We’re also doing STRETCH GOALS to unlock a boatload of additional games to give away. Including games like Lords of Xidit and even XCOM. We’ve got a few surprises up our sleeves, too. Can you handle it? We’ll find out. All you have to do to sign up for the contest is subscribe to our upcoming newsletter, which will feature updates from iSlaytheDragon, as well as our partner sites boardgamesfor.me and iheartprintandplay.com. More details on that later, but trust me, it’ll be worth it.